Flop – flop – floppity – bop bop! 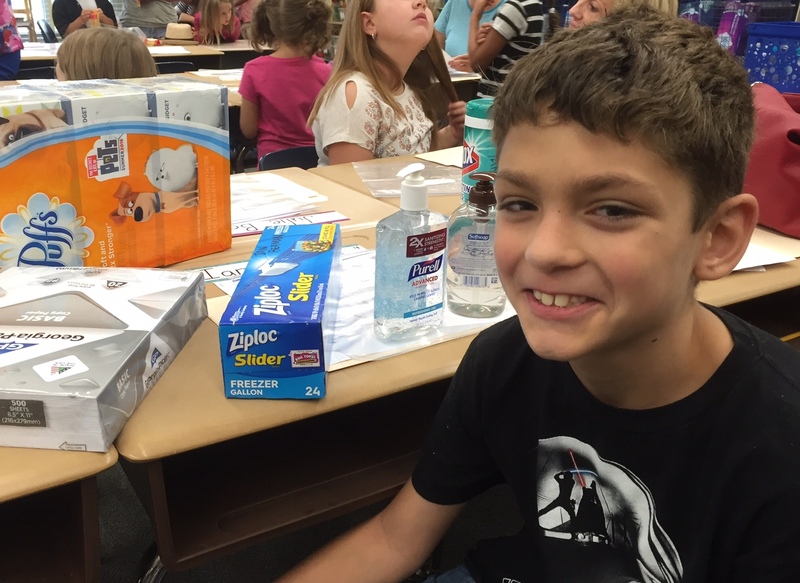 That was the sound of grandson Ian’s heavy plastic bag of supplies bouncing off his left leg walking into orientation last week at Mandarin Oaks Elementary School. I didn’t pay too much attention to its contents until I helped him place supplies into wire bins at the back of his classroom: Purell germicide, Clorox wipes, Ziploc freezer bags, even multiple boxes of Puffs tissues.. The only item I recognized as a school supply was a ream of paper to print pages from a classroom computer. On the first day of class, Ian, now a third grader, carried an aqua-blue lunch zippered pouch and a black backpack no doubt stuffed with notebooks and crayons. 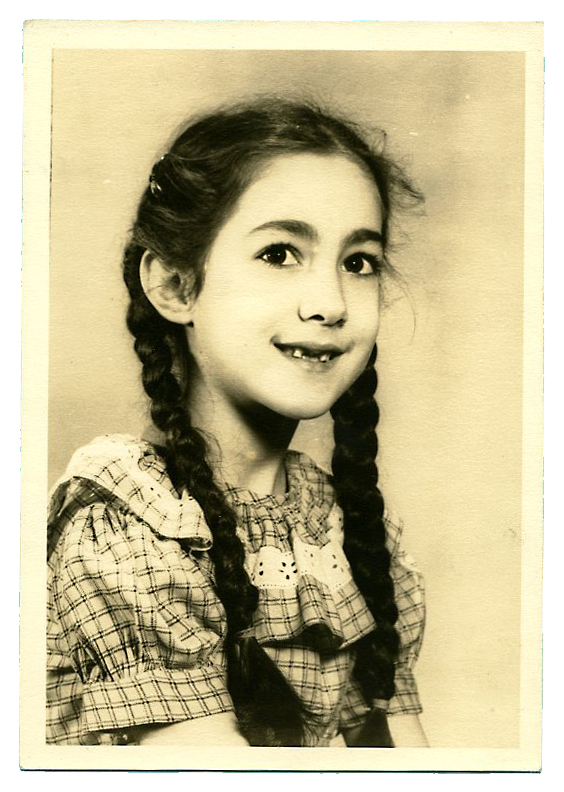 As a first grader at Rheems Elementary School, I wore a dress and carried a plaid book-bag with a plastic handle and a metal lunch box, probably plaid too. In the 1940s, plaids or checks were in. I didn’t learn the alphabet until I was five. But learning is speeded up these days. Students are pushed to advance. Ian and others in his age group probably have memorized their letters by age three or four. The curriculum in his particular third grade class includes reading twenty-five chapter books out of class during the school year. Peering into his book bag today, I spotted Madeleine l’Engle’s A Wrinkle in Time, The Chronicles of Narnia by C. S. Lewis, and Kate DeCamillo’s Because of Winn Dixie. Reminiscing, I remember reading aloud and silently during class, simple books. Our teacher read to the class after lunch as we rested our heads on the desktop. Instructors then encouraged but did not quantify the number of books to read until junior high school. 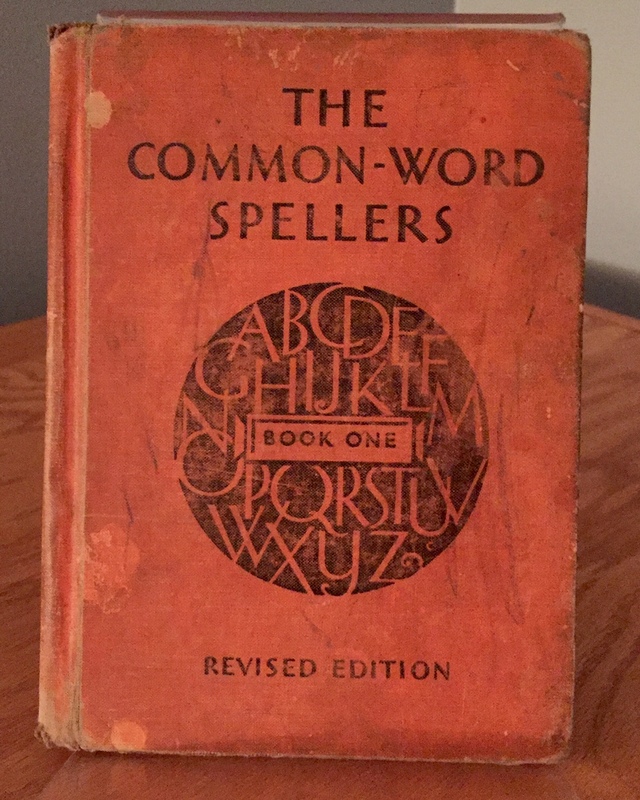 Teachers nowadays may teach spelling, but do not issue students textbooks such as The Common-Word Spellers like this one below published in 1921 by Ginn and Company. Nor do grammar book titles these days warn students about getting tangled in English problems, negative wording that educators today would probably nix. This antique practical English text by Easterbrook, Clark, and Knickerbocker bears a copyright date of 1935. 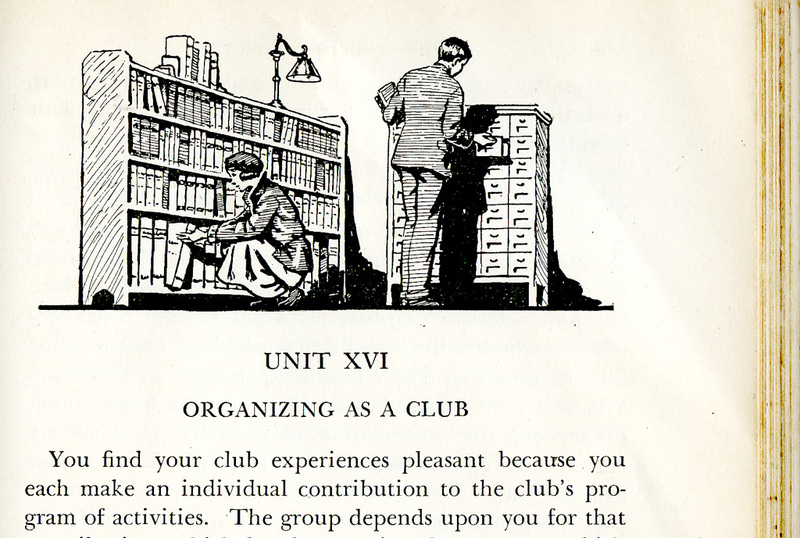 Quaint but exquisite pen & ink illustrations announce various chapter headings, which also depict social skills needed for the business world, especially preparing for a career in journalism. 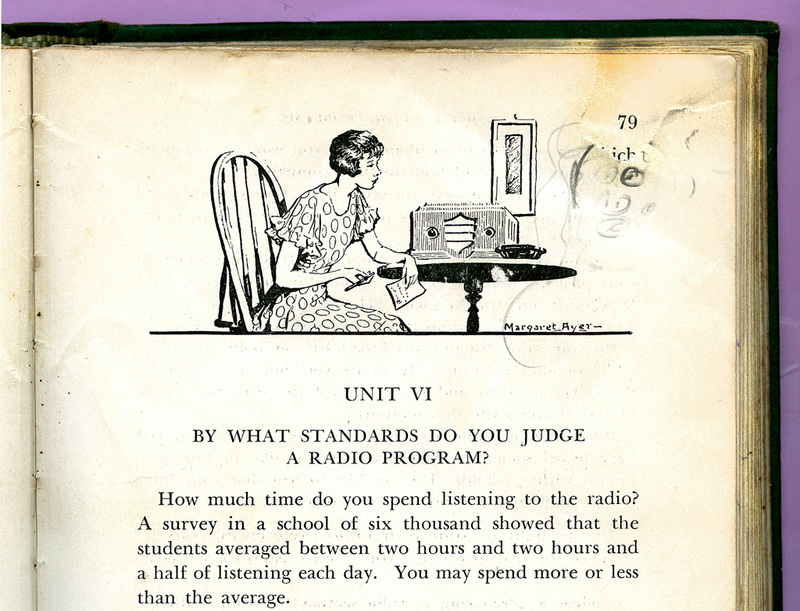 Thanks to this gift from friend Carolyn, you can catch a glimpse below of what curriculum planners and textbook authors thought students needed to succeed in the 1930s. The technology depicted here is mostly obsolete, yet it feels like a novelty because we are eighty years removed from this era. Hat in hand is a tip-off that the gentleman running the vacuum cleaner expects $$$ from his sales presentation, not a huge hug from an appreciative wife. Is the woman at the desk examining the manual? writing a check? Housewives then did not hesitate to open their doors to the Fuller Brush salesman and their ilk. iPods with ear-buds have replaced the big box with knobs enjoying pride of place here on the table. How about you? 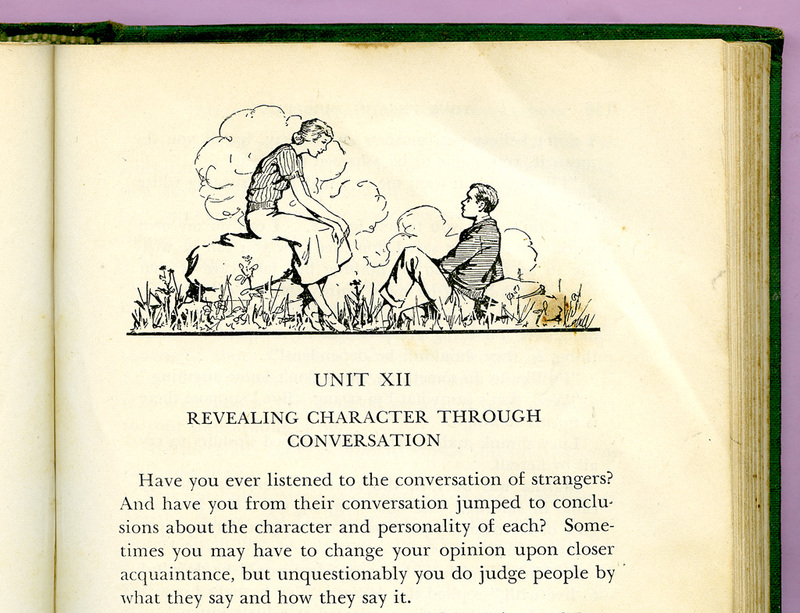 In an age when Facebook posts, text messaging and Snapchat often constitute communication, leaning in and maintaining eye contact suggests that face-to-face conversation can reveal character. Does this scene recall meaningful conversation with a loved one? For some, hand-held Kindles and Google searches have replaced library bookshelves and the card catalog. Remember those? And careful notes written in ink on index cards? Your turn: Do any of the pictures above ignite a memory or spark a story? What is your take on current technology? What ways of communicating should be preserved? My younger daughter has always used had-written notes cards for memorizing information for tests, although she now makes to-do lists on her phone. Of course there are good and bad things about technology. I think some people do not know how to talk to people face-to-face. At the same time, we can interact with people from all over the world with our blogs. We can access knowledge from so many different sources using the Internet and online sources now. My daughter can show her students movies by accessing Netflix or Youtube, or other sources in the classroom. But I suspect she will be helping her husband, who was just accepted into nursing school, by quizzing him from hand-written index cards. I love Jenna’s wise words! Yes, we now have the world at our fingertips plus all the technologies that have preceded. I agree, handwritten notes are special. When I make notes on cards I use different colors. A fun thing and maybe a learning aid. How neat the husband-wife due can also form a learning bond. As always, thank for launching the conversation here and sharing on Twitter, Merril! You are always welcome, Marian. It sounds lovely, and I’m sure you will. Jenna is very wise, Marian. The photo of the card catalog takes me back to rainy days in elementary school when we headed to the library instead of the playground. Jenna and Patrick are adorable! Avid reader that you are I don’t imagine you minded too much getting “stuck” in the library on rainy days. About the grands, I’m reliving my own school days as they progress through through the grades. Thank you, Jill! 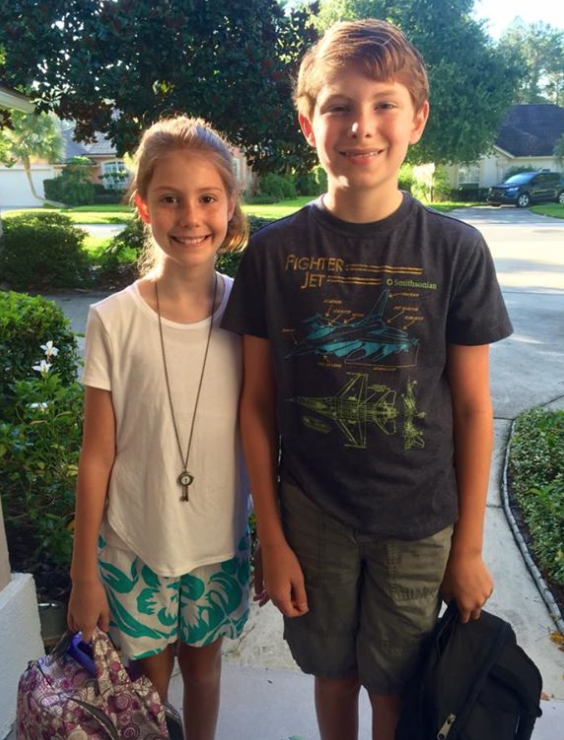 The first day of elementary school! I remember getting 3 new dresses each September (because girls were not allowed to wear shorts or pants). The last week of summer vacation was spent choosing just the right color 3 ring notebook and filling a pencil box. It’s unbelievable how many other basic classroom supplies families are now expected to provide. Another obsolete classroom lesson was Penmanship. Remember the workbooks where we practiced cursive writing? PS: You have beautiful grandchildren! You covered so many bases here, Lynn. Thank for recognizing Jenna’s wisdom. Yes, I too remember the Zaner-Blosser handwriting skills booklet. My teacher taught us to make oval-shaped O’s like a coiled Slinky and up & down motions forming accordion-like strokes all in the name of cursive penmanship, perhaps a dying art. Yes, things have changed but humans evolve as they always have. Communicating with others is as important as it always has, is just done differently. I believe we actually communicate more now, with the aid of technology. For instance, I Skyped with my 87-year-old mother in Canada last night. Something we could not have done 10 years ago. She loved that she could see me and talk to me even though I was in Spain. Also, my two brothers would have never written me letters, but they send me emails and facebook messages on a regular basis. Your grandchildren are wonderful and I especially love the quote from Jenna! Skype is wonderful, I agree. When Ian’s parents visited Spain when he was 5 or 6 they Skyped him with us in the background. I remember him fervently kissing the screen as they said goodbye. You can maintain a strong connection with your mom across the miles probably with the option to make a simultaneous recording. Either way, you are creating precious memories. Thanks for offering your thoughts once again, Darlene. And if you go to eBay, you can find vintage pencil boxes from the 1950s now selling for $100. I love the photo of you as a second grader. So cute! Lucinda – thanks! Methinks you are gearing up for the school year too. Yes, I am. It starts Monday. Our school starts the 6th. Yes, that is a very nice picture. Marian, with your dark braids and dark eyes you could be the triplet to my sister and me. I appreciate the kind words. I will have to imagine my fitting into your family with my dark complexion. Thank you! One reason you see all these throwbacks to the olden days is just that – a record for the grands and those that follow after. I’m delighted this post resonated with you. No judgment or put-downs here. Dreaming allowed, encouraged even. Thanks, Susan. Marian — What a FUN post! Ian’s backpack contains books from two of my favorite authors: Madeleine l’Engle and C. S. Lewis. The photograph of you in second grade is adorable! And while you carried a plaid lunchbox, mine (also metal) was Beany and Cecil. It was fun to see the illustrated chapter headings; when my book comes out in November, you’ll see a “pushpin” at the head of each chapter. Oh, you took me back to my school days in Covington, Oklahoma. I was only there for two years but they were my best two years. I still have some of my school books, readers, and a geography book. I have pictures and memories! Oh, the memories! Thanks for sharing! We both like to take a glance into the rear-view mirror at times. I think it helps balance all the novelty of today’s tech world, don’t you? I’m impressed you still have readers and a geography book, Anita. I liked geography, but I think today’s students just Google locations or use a GPS. Loved you sharing Carolyn’s book on your blog. When I went to school, 1953-1966, we had prayer and the pledge of allegiance every morning. Once a month Miss Bishop, a Bible School teacher, came to our school and told Bible stories using a flannel graph board. I loved my school days. So innocent. Bonnie, you and I probably went to schools in the country where the teacher’s values mirrored the values of the community in general. The phrase “political correctness” had not been coined then. It is touching that you remember the name of your once-a-month teacher. She must have made quite an impression on you. Thanks for reading and commented here. I believe you saw Carolyn give me the very textbook featured in the post today. It’s one book that has made it through the curating process during the move – ha! Dear Marian, you did it again ..transported back in time to those school days of my youth and I love it! Your photos and cartoons are delightful. As far how things have changed with our grands, I am fascinated about what they can teach me! Your boys – big and little – probably also have what to me/us is accelerated learning. I never hesitate to ask the older grands anything, especially computer questions. C’est la vie! I’m thrilled that we can connect here and reminisce, Kathy. Thank you! I always appreciate your observations, Marylin. Thank you! Little guys’ school starts at a sensible time – after Labor Day. It never made sense to me that schools in the sweaty South started mid-August, at the height of summer heat with a big drain on the AC. I’m guessing there will be reverbs about your “hurrah” trip on your blog soon. Have a safe trip and relax: You deserve (I say DESERVE it!) big time. Great photos and comparisons between then and now, Marian. I’m still working through a stack of many colored index cards I bought about 25 years ago. Handy for short lists and bookmarks. The drawings remind me of a book called ‘Manly Manners’ which is still in a box upstairs. It was my dad’s. I often think of the little boy in the book who was taught to pick up after himself, put away toys, put dirty clothes in the hamper, and help with the dishes. When I don’t feel like washing the evening dishes (and Vic is no longer here to take care of that job which he did for forty years), I think of the little boy in Manly Manners. He and I always get the dishes done before I go to bed. 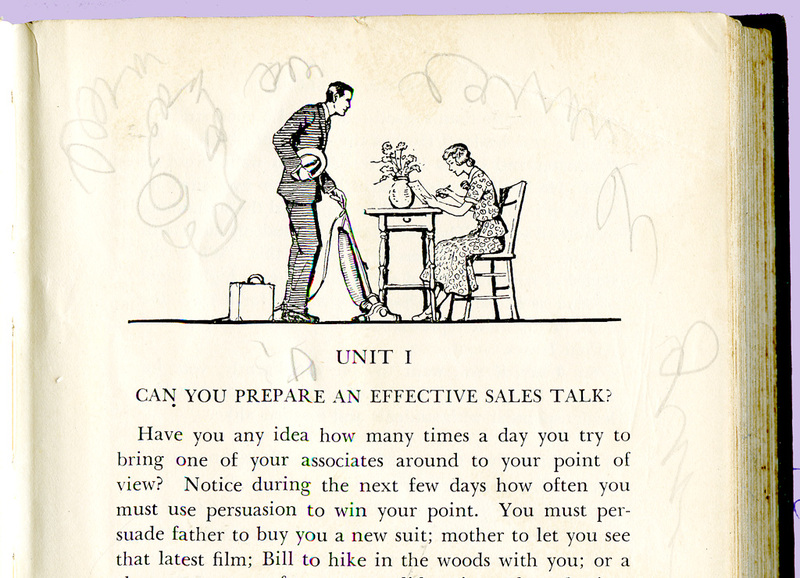 The Manly Manners book reminds me of a feature in a magazine (or was it the newspaper?) I remember reading as a kid – the “Goofus and Gallant” drawings illustrating the right vs wrong way of doing things. I see it both as didactic and charming now. Yes, on it goes: I try not to show outrage at the digitally addicted of any age, especially the younger set. Something else will take its place though: virtual reality, perhaps. I am very new to social media , but as you know I have followed blogs for quite a few years and I love it . Especially conversing with people like yourself across the pond and beyond . However I am aware of the time you can spend doing it . If you are up at five in the morning, I have just gone to bed here in the States. Likewise, you may be winding down now as I’m writing this at mid-afternoon. I like that you walk gently and stretch your limbs with yoga. I usually do Pilates on Tuesday and today I started back with PowerPump – no need to do that what with heaving boxes and lifting light pieces of furniture lately. This post gave me the shivers. How (too) fast life unwinds, in around over up and back again. As different as school is now, it’s also the same. The excitement (look at the sparkled\s in your grandkids’ eyes! ), the love of knowledge (Jenna’s quote is on target and wonderful), the gathering of supplies (granted, ours was much different with our metal lunchboxes, no back pack, and hard heavy books). 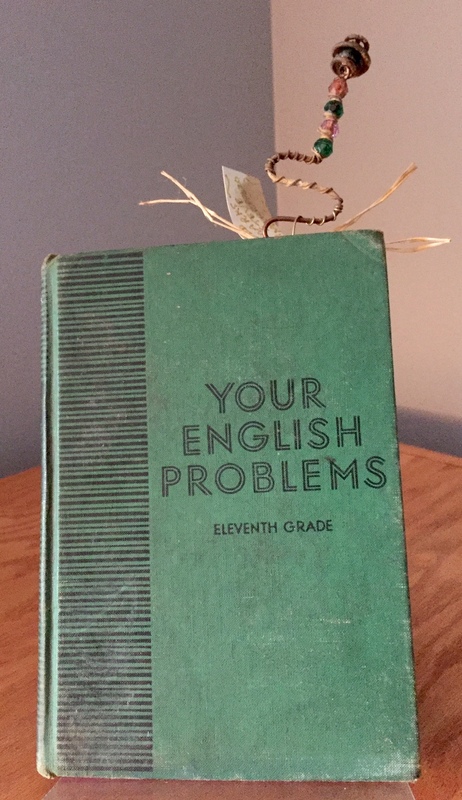 I had to laugh (uneasily) at the title of that book – YOUR ENGLISH PROBLEMS. Yikes, no wonder I have so many 50 to 70 something year olds come to my Creative Writing classes still scared of writing and facing the paper with their pen. I understand too the white-knuckled fear of writing evident in my college comp classes. I found it a challenge to help them relax using visual prompts and graphic models. I believe your own blog title comes from students’ affectionate attitude toward your teaching methods. Yay! You’ve got it, Marian. I kind of worried about the idea of writing “rough,” but really, that’s the point, isn’t it? Loosen up and LET GO with our writing. If it’s honest, it may be rough, but it will be real. I think email is very useful, but it is sad that so many use it to the exclusion of actual pen and paper communication. We still write letters and send birthday and special occasion greetings non electronically. I remember when we were young/younger and my mother was writing a letter if there were cousins or friends of ours in the family she was writing to we would each write our own letter and it would be added to the envelope. My mother and I and my daughters and I still do this. I have no use for all the other areas of social media. I enjoy reading these blogs. But if people took the time they spent on things like the twitter and the facebook and the pinterest etc etc and spent it on actual communication with real people, not sites, that would be a lot more rewarding. Think of all the free time there would be to read and write or garden or volunteer or cook a real meal! Our church/school library still uses the card catalog. It’s never “down”. I’m a “hybrid” too and send birthday cards and special notes, especially get-well cards occasionally.. Sadly, letter-writing has gone by the board. The Mennonite Historical Society in Lancaster, PA is thrilled when families donate handwritten letters and other memorabilia to the museum as my sister Jean has done. I’ve donated a few items from past generations to the Young Center for Anabaptist and Pietist Studies at Elizabethtown College, but held back some very personal letters to pass on to our children. Debby, I told Carolyn I would be doing a blog post with this book in the fall when school started, so yes, it made the cut. The move has taken a toll on my appearance. When I look in the mirror now I see an old, tired woman. It’s sweet of you to say otherwise. Maybe when I get a little more rest my face will snap back into better shape. LOL! Great metaphor – and advice! My sister Jan says almond oil; you say coconut oil. Maybe I’ll have to try both (one on each side) and check out the results. Silly me, I don’t have either! Congrats on finishing another book, Debby. I must get back to my WIP this week. House is in order (mostly), so I have no excuses. Almond oil is great for taking off makeup too. It just doesn’t have near the healing properties as coconut oil. I wonder if we will ever think watching TV is quaint. Maybe when “virtual reality” (gag!) becomes the norm. Thanks, Rebecca. 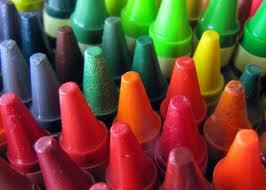 I learned to write my name and sing the alphabet at my Pappy’s knee long before I went to school. My grandfather was a wonderful teacher, even though that was not his job.